There's nothing quite like a novelty Star Wars app. The light saber simulator for iPhone was one of our first true App Store loves and with the much-maligned Episode 1: The Phantom Menace set for a return to cinemas in 3D there's another fun app to unleash our inner Force nerd. The free Darth Maul Me app for Android allows you to transform yourself into the Satan-esque Dark Lord of the Sith with a little assistance from your smartphone's camera. 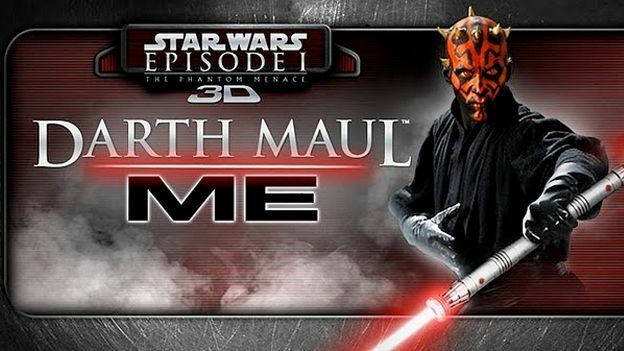 Just line-up your face in the template, snap a photo (or choose one from your library) and select which Darth Maul persona you'd like to rock (choices range from evil, murderous lunatic to, well, murderous, evil lunatic) and in a few seconds you'll be transformed into a Jedi-hating angry young man. Double-ended light saber sold separately.